I feel sort of bad posting this one because everyone at this Subaru dealership was super-nice, and I love their cars, but all's fair in love and punctuation. 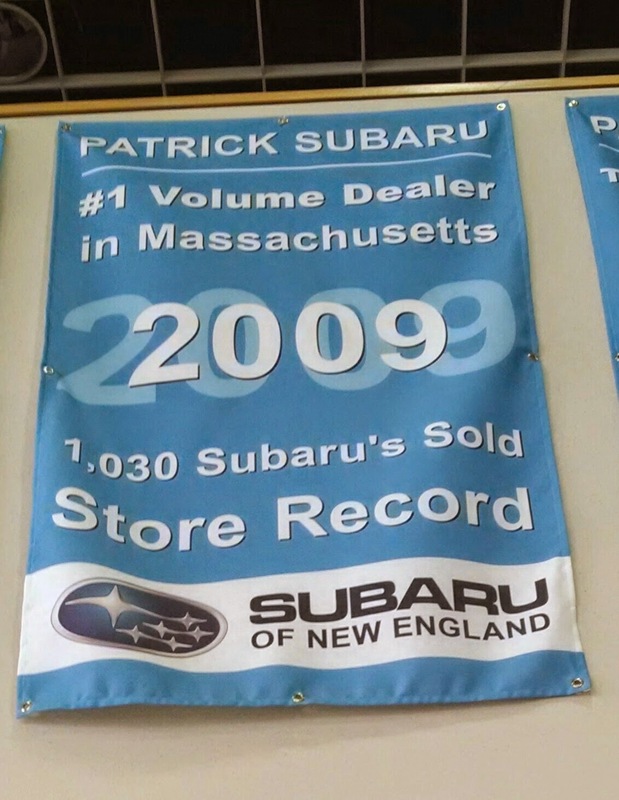 The showroom had five or six of these banners featuring an apostrophe catastrophe in the plural of Subaru (look below the 2009 in the middle), so I had to take a photo. 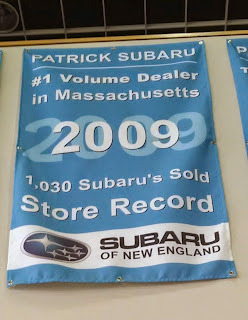 Incidentally, I read somewhere that Subaru's slogan, "It's what makes a Subaru, a Subaru" [sic] has an errant comma in it. Yes, I'm nitpicking, but that's what this blog is all about. I still plan to buy a Subaru for my next car anyway. Driving around New England in a two-wheel drive vehicle can be scary at times (i.e. throughout our six-month winter period).